Some would say we've had enough rain. Some would say it's been too hot. And I would say I agree, with both statements, depending what day it is. If it's washing day, well, we need the sun. When it has been a hot day, there is nothing better than ending the day with a cooling downpour. A shower of rain only ever serves to increase the humidity, which I am not a fan of. I was quite surprised and relieved to find there was a name for someone like me! 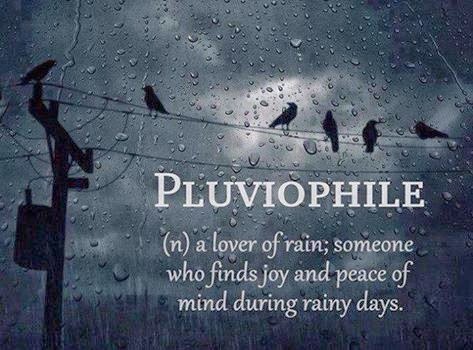 When it does rain, I am reminded of how much I enjoy the rain. I love watching it hit the windows and each drop rolling down until it runs into another drop, and another and so on and in doing so, increasing in speed as it finally rolls to the bottom of the window. I love the cool it brings and the feeling of calm as we settle in to simply enjoy being. 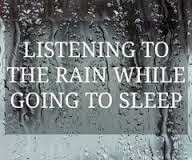 As I go off to my bed, I hope to hear the soft, constant sound of the rain on my window and I will be grateful for the peace it brings as I am lulled off to sleep. Be sure to hook up with Grateful In April. It's not too late!